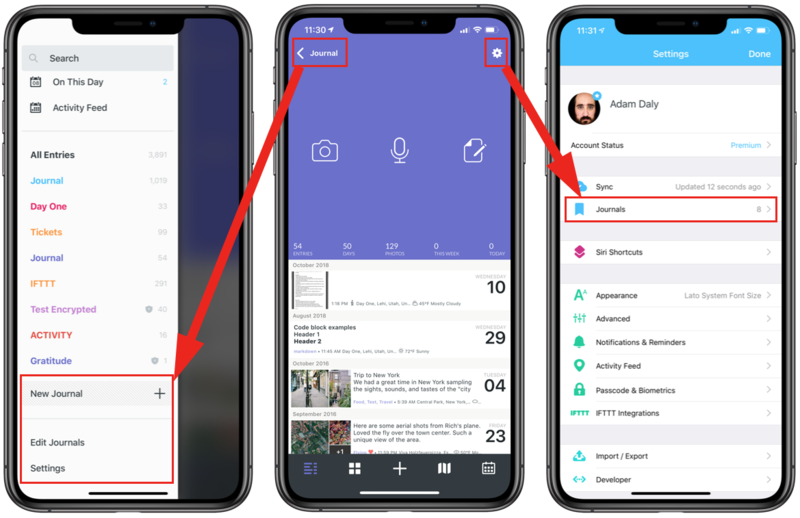 Swipe from left to right on the Timeline screen to access the Journal Drawer and scroll to the bottom. 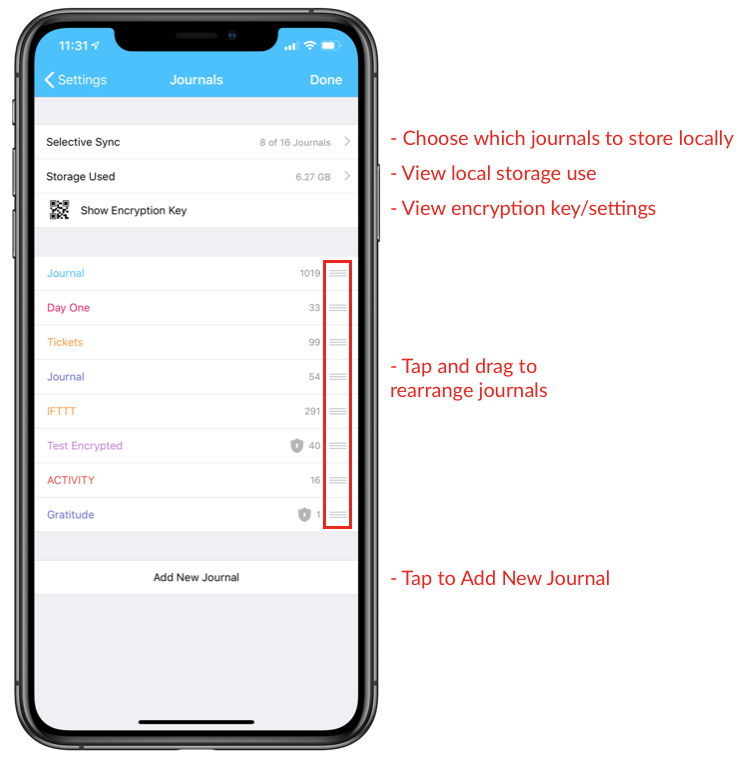 Tap New Journal for a shortcut to creating a new journal. Tap Edit Journals to access the journal settings. Or tap the Settings icon ⚙️ at the top right, then tap Journals. Tap on any image to enlarge. 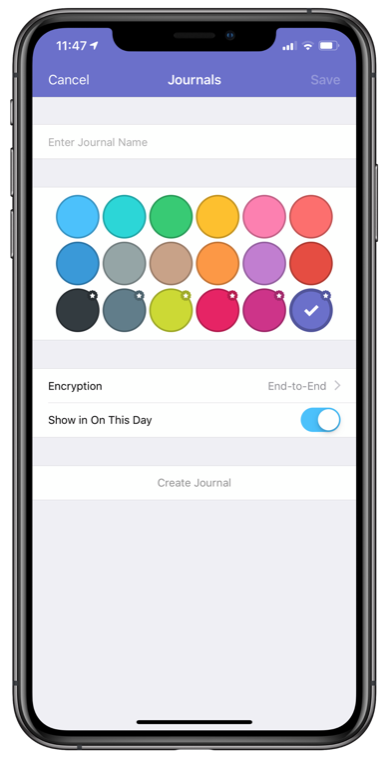 Here you can name the journal, choose a color, choose the encryption option for this journal, and choose to include the journal in On This Day notifications. The Standard option encrypts the data "at rest" on our servers and securely transfers the data from our servers to the Day One app. This is the same level of encryption offered by iCloud or Dropbox. End-to-end encryption utilizes a private key to encrypt all data before it reaches the server. The server will have no access to unencrypted data. We recommend that users save a copy of the encryption key. If users lose their encryption key and access to Day One, encrypted data may not be recoverable.